Last week I shared the green cleaners I make from home and this week I'm going to share the green cleaners I buy from the store. 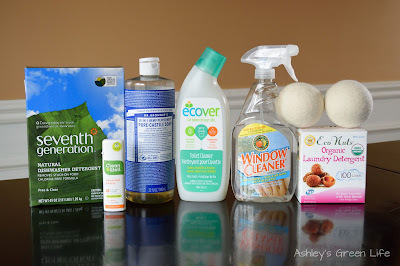 You see back when I first started going green I thought I wasn't "green enough" if I bought my eco-friendly cleaners from the store, but now that I have two kids and basically two full time jobs (teaching and YouTube) I've come to accept that it's OKAY to buy some cleaners at the store. The main reason being that I simply don't have time in my day/week/life to make healthy homemade meals for my family as well as all my green cleaners...something had to give. And the second reason is that I'm not that great at it. Don't get me wrong, I love the recipes I shared in last week's post that I gladly make from home, but those four recipes work for me. I've tried other homemade recipes in the past that do not work. From mirror cleaners that streak, dishwasher detergent that leaves the dishes messier than when they were put in there, and a toilet bowl cleaner that took me 20 minutes to make, all of which I gladly decided to stop trying to make myself and simply buy them from my local health food store. 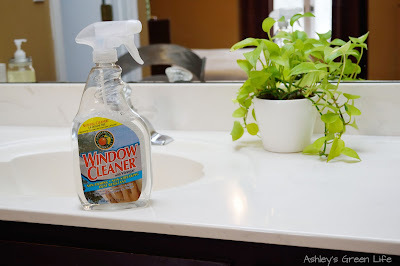 In doing this I save time (I don't have to make them), my home gets cleaner (since they are more effective), and helps me move away from the toxic cleaners I used to use in the past (the ultimate goal anyways) so it's a win all around in my book. 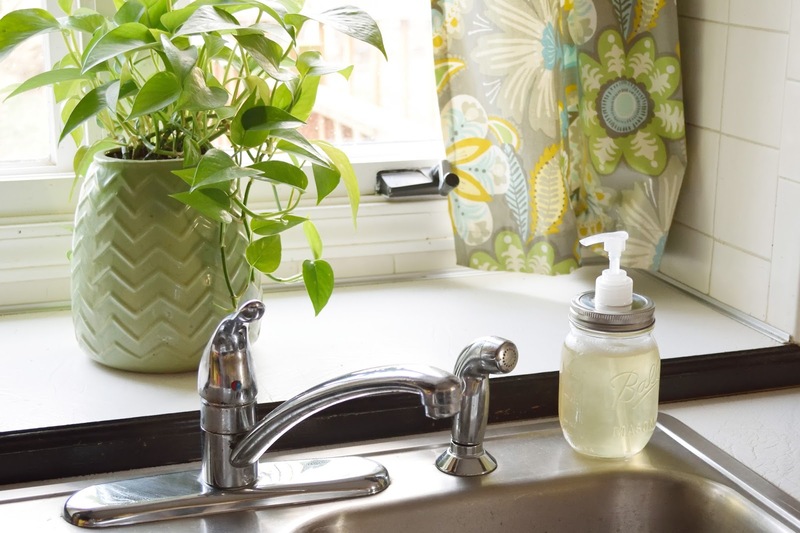 Now that you know my reasoning behind the combo of homemade and store-bought, here's something I use to help make the greenest choice when choosing a cleaner...the Environmental Working Group's Guide to Healthy Cleaning Website. This website is so helpful in how you can type in the name of any cleaner and instantly find out it's "grade". Cleaners are ranked from A to F, think back to when you were in school, with the A being the best you can get (cleanest, greenest, healthiest) and an F being the worst (full of chemical, toxins and other ingredients that may harm you or your family). Even better, they break down each ingredient in the cleaner so you can know what's causing the high grade or the low grade. This is how I chose most of the cleaners on this list because they had grade of A's or B's. So check it out here to see what grades do your cleaners get. This is one of the first ones I "let myself buy" once Avery was born. I wasn't super happy with the homemade version I had made and it took a long time to make (lots of ingredients and bowls and funnels) so buying and using this one has made cleaning toilets much easier for me. It has a nice clean pine scent and it gets the job done. Also to help with the cleaning the toilets I use a dish scrubbing brush instead of a toilet brush, I feel like they are stronger and more effective. Here's the one I use as seen in the picture below. I only discovered this years later after feeling frustrated that the stains in the toilet from when we moved into our house would not go away, and I'm so glad I did. 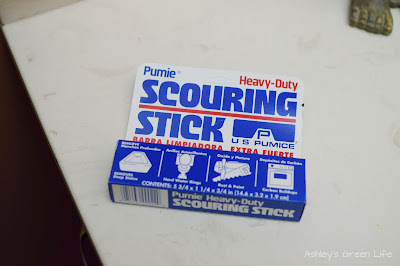 Pick up this quick little stone and give it a scrub (with some water) and watch the stains in your toilet disappear. Read more here in my post "Clean Toilet Bowl Stains...Without Chemicals". I use these Pumice Stones. 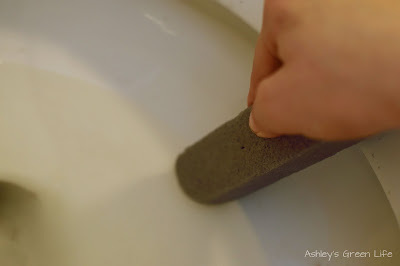 The pumice stone in action cleaning my toilet, just be sure to add water. 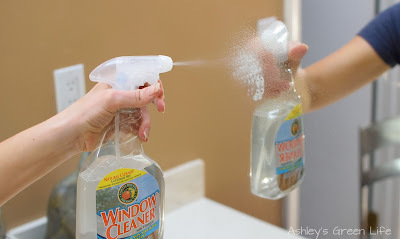 I've tried several glass cleaners over the years to help me tackle the mirrors in my house and while some did an okay job, I always had streaks...until I caved and got this store-bought window/glass cleaner one day. I've tried going back to homemade but then always end up cleaning the mirrors with this rockin' glass cleaner. Give it a try if you struggle with streaks too. This soap has been my favorite for years. I remember how I kept seeing it at my local health food store and wondering what all the words were about on the bottle, and although I still have no idea, I do love using it. 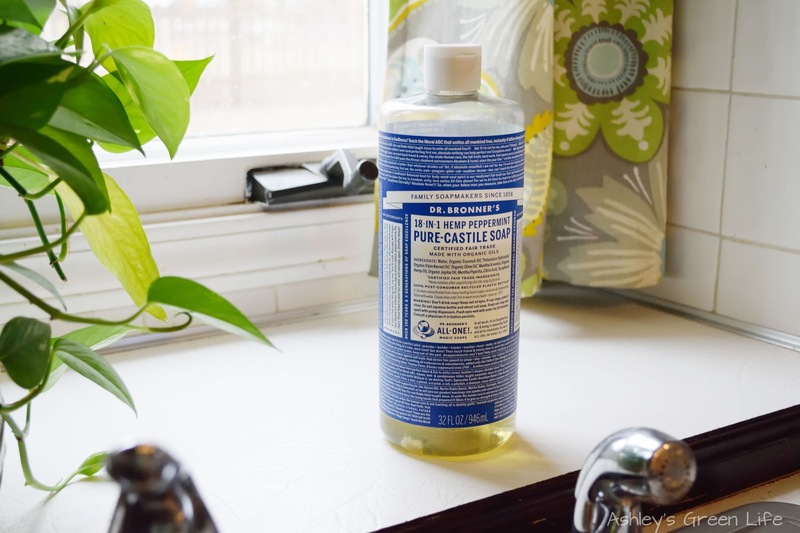 For me this soap has replaced dish soap, hand soap, body wash, and more. You can read more here about how I always dilute it down and the other ways that I use it. 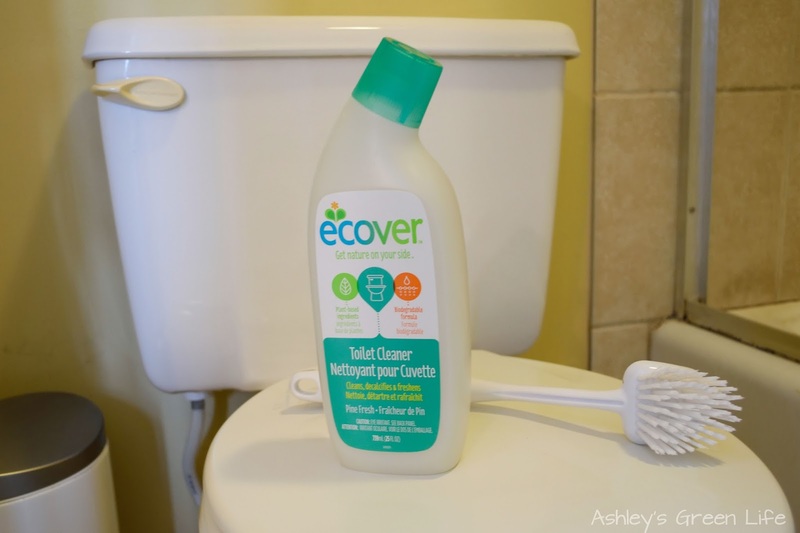 This is a must-have for your "green cleaning team". to have at each sink in my house. 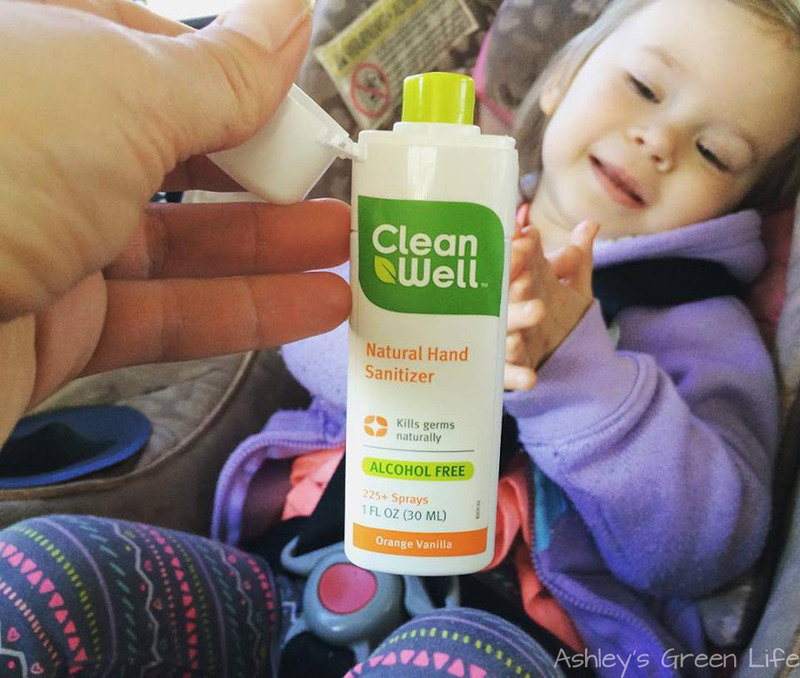 When it comes to cleaning my hands or my kids' on the go, this is what I use. I don't like the smell or chemicals in traditional hand sanitizers, so this is a great green alternative. It's alcohol-free and safe to use with kids. You simply spray it on their hands a few times, rub them together and then let it dry. Perfect for when you're on the go but want your hands to be clean! Once when I was brave I attempted to make my own dishwasher detergent...bad idea. There's just some things that shouldn't be made at home, and for me with my novice-cleaner skills, this is one of them. Instead I buy my dishwasher detergent at the store and it's far more effective. I like this one by Seventh Generation that is chlorine-free as well as fragrance-free. It does a great job of getting my dishes clean without all the chemicals and smells of traditional cleaners. 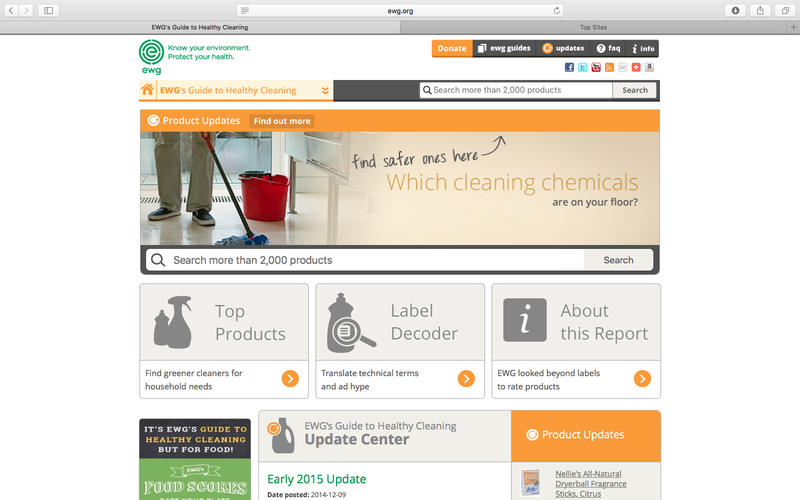 Even better, it gets an "A" on the Environmental Working Group's Guide to Healthy Cleaning website. 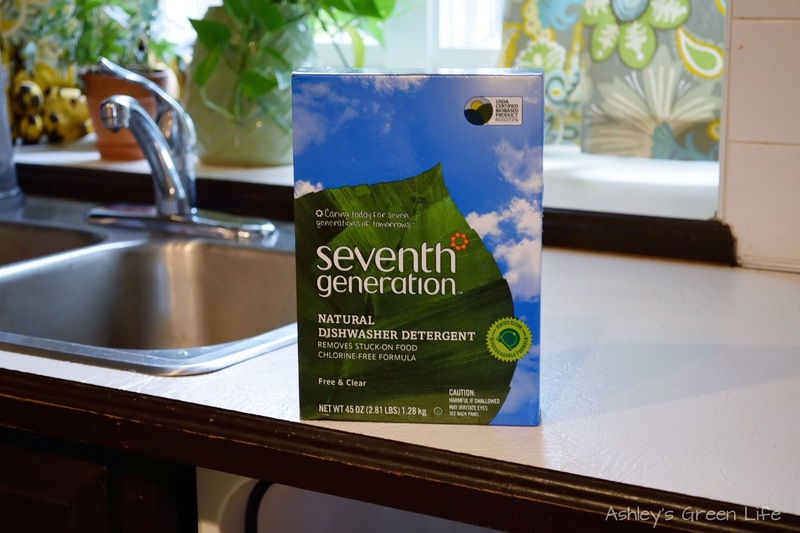 So not your typical laundry detergent right? 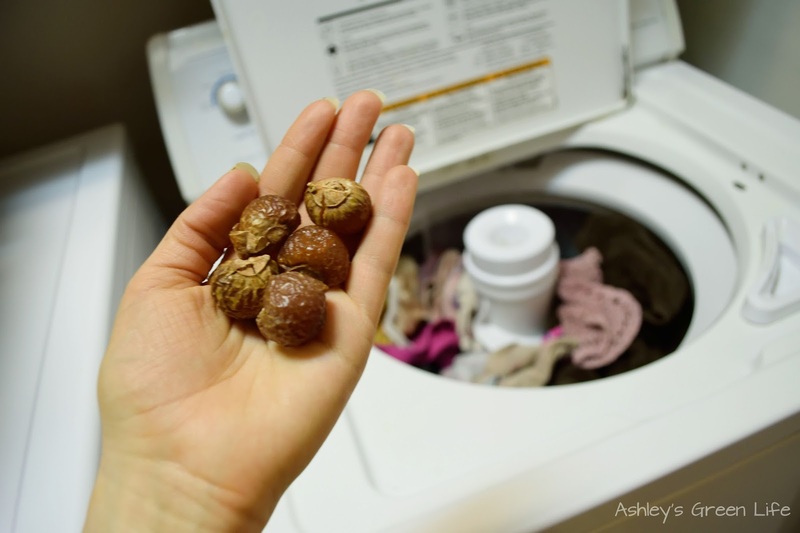 I know, I was skeptical at first about these little nuts, but they do a great job cleaning my laundry. The nuts are actually berries that have been dried and when agitated in water they produce some soap-like suds to help clean your clothes. Here's a close up of the berries. From there you place about 4-5 of them in a drawstring bag (that comes with it) and just toss them in your washing machine with your dirty clothes. When the load is done you can reuse them about 10 times and then you toss the berries and go to the next batch. While they do get my clothes clean in a green way, I find my colors and specifically whites are not the brightest. For now it's working for me, but I'd love to know what you guys use to get your clothes washed in a green ways that helps retain the colors or if you have any tips. Share below! 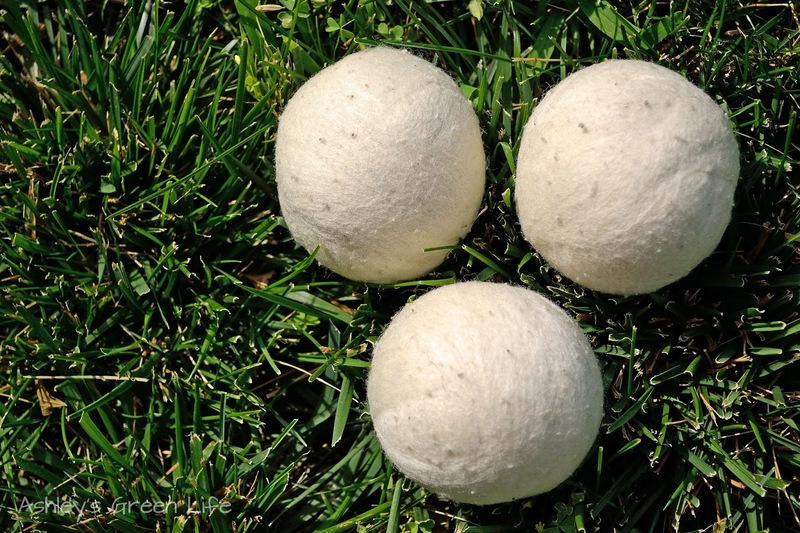 I first blogged about wool dryer balls a few years ago and I'm still using them! These are such great alternative to dryer sheets that are filled with chemicals and fragrances. 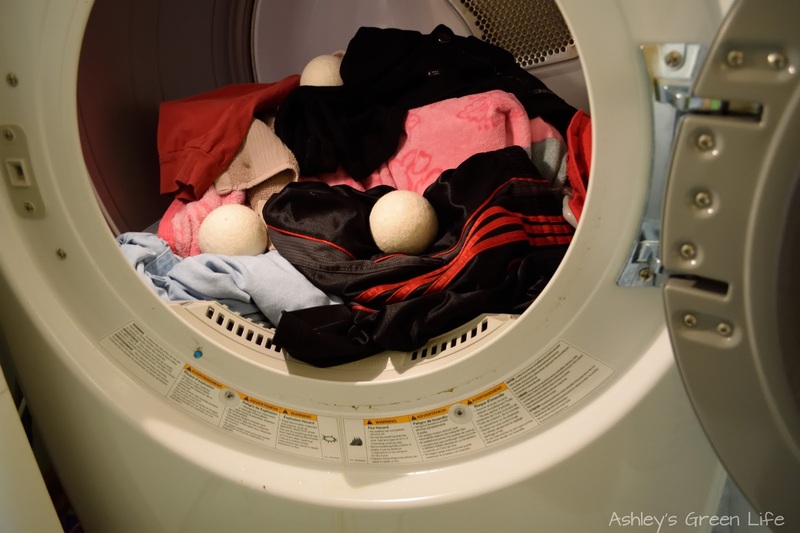 All you have to do is toss them in your dryer with your wet clothes and run the load. 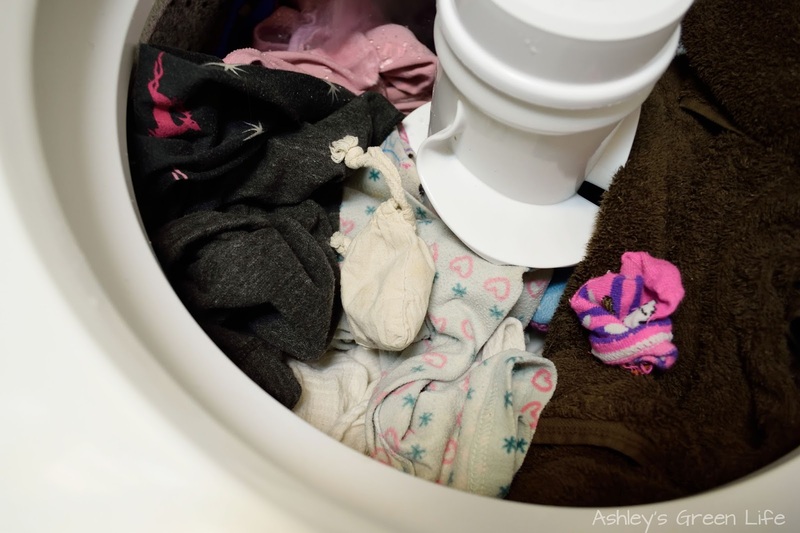 Some brands claim to help decrease the drying time as well. 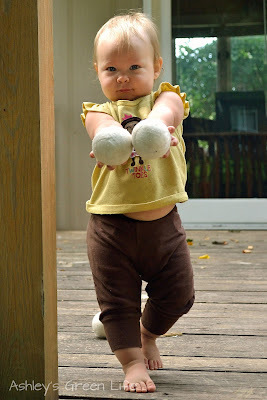 I've got about 5-6 wool dryer balls, sometimes it seems like the more you can toss into the load the faster it will dry. 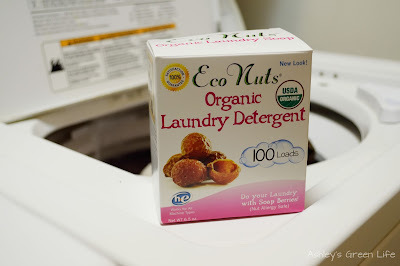 Granted these aren't vegan since they are made from wool, but for me, I don't have to use disposable dryer sheets that are full of chemicals so it's a step in a greener direction. 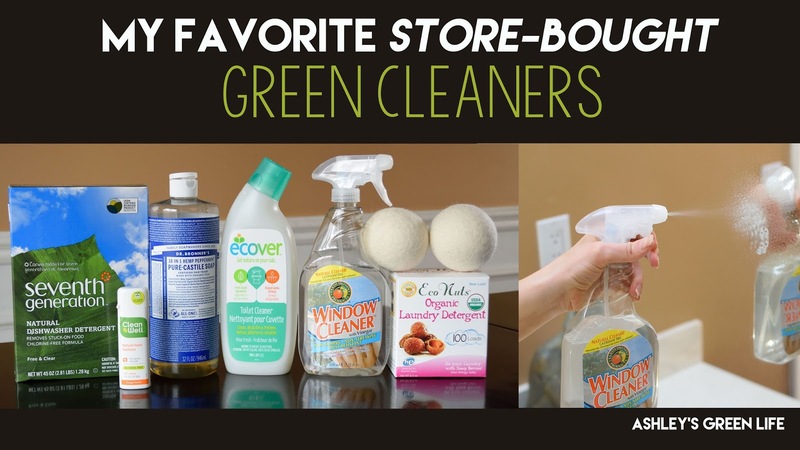 So there you have it my favorite store-bought green cleaners! What are your favorite store-bought cleaners? Share them below and if you struggle with the same "green guilt" I used to feel when buying them as opposed to making them myself. Happy cleaning greenies, see you next week.